Betty Crocker – Free Samples, Recipes, Coupons & More! 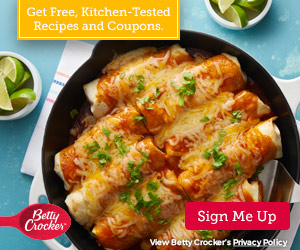 Betty Crocker - Free Samples, Recipes, Coupons & More! Sign up for Betty Crocker's free emails to receive up to $250 in yearly coupons, access to free product samples (quantities limited, one per member) and the easiest recipes sent right to your inbox.